Not many sports agents are also high-profile defense attorneys. Because of that, Joe Tacopina (the subject of today’s interview) easily separates himself from the crowd. Recently Tacopina garnered an acquittal for two New York Police Department officers in a high profile case. But certainly his competitors will spin Tacopina’s excellence in the court against him in some fashion. Thus far, Tacopina seems to have done quite well, though, through the company that he co-founded – Madison Avenue Sports and Entertainment (MadAve). I hope that you enjoy the following interview with Joe Tacopina and leave any/all comments you may have at the bottom of the post. Darren Heitner: How difficult is it to juggle life as a criminal defense attorney and life as a sports agent? Joe Tacopina: It doesn’t give you much time for anything else, including sleep. But it truly depends on the circumstances. There are times when I need to spend a majority of my efforts on a case and less on the on the agency, and vice-versa. Fortunately, I have a great support team in both areas. Darren Heitner: Which job takes up more of your time? Joe Tacopina: Depends on the day of the week. When I’m in a trial it can be upwards of 20 hour days. It is the same though, when we are on recruiting trips. Nice to have a blackberry! Darren Heitner: I’m an HTC EVO fan, but I won’t hold it against you. Compare as to difficulty: Closing statement at high-profile criminal trial vs. recruiting a blue chip athlete to be a client. Joe Tacopina: There is pressure in both. And the philosophies behind both are similar. If a closing statement does not go well, my client is going to jail for a long time. At MadAve we are a young company, so there is pressure to build our client base. So a successful pitch to a family becomes quite important. In both situations you have to believe in what you are saying, so authenticity is paramount. We pride ourselves on that and believe it distinguishes us from others. Darren Heitner: What inspired you to create Madison Avenue Sports and Entertainment? Joe Tacopina: I have always been passionate about sports. Initially, I represented some athletes and they always asked me to handle their contract negotiations. I always thought the criminal defense attorney skills were transferable. There is constant negotiating throughout a case, especially if you are negotiating a plea deal for a client. When I connected with Ed we saw that we could be much more. 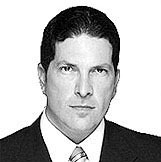 Darren Heitner: Have you ever represented a sports/entertainment client in court? Is it a service you offer to your athlete/entertainment clients? Joe Tacopina: Yes. I was hired by Michael Jackson to defend his manager and alledged co-conspirator in the 2004 criminal trial. I have also represented many entertainers and Hip-Hop artists such as Sticky Fingaz and Foxy Brown. I don’t pitch the service to them as I think it has to be more of a natural process. I am much more comfortable with it that way. Darren Heitner: Do you believe that a law degree is necessary/preferable for an aspiring agent to have before beginning to recruit athletes? Joe Tacopina: Is it necessary? Not really. But it is an asset, both practically and from a presentation standpoint. Practically it certainly helps when you are negotiating contracts. From a presentation standpoint a client always knows that if they get themselves in trouble, they can call me I can handle it. It becomes a one-stop shop. Darren Heitner: Who are some of your clients at Madison Avenue Sports and Entertainment? What is the most interesting/creative deal you have brokered while working there? Joe Tacopina: In just a couple of years we have amassed a nice roster of NHL caliber players including David Desharnais who plays with the Montreal Canadians and some nice NFL prospects who we believe have a nice future ahead of them. Each deal is different and interesting. But it is everything from negotiating contracts for an established NHL player to helping a linebacker make his way onto an NFL roster that make it all interesting and creative..
Darren Heitner: What is it like working alongside Ed Horne, who was formerly an executive at the NFL and NHL? Joe Tacopina: He is a leader in the industry and has been a bit of a mentor. I may be able to negotiate a contract, but Ed has really helped me navigate the world of sports. His demeanor really defines us at MadAve. Whenever we hit alarm bells around here Ed is the calming influence and steady voice. We have complementary skills and that is what will make this work for the long term. Darren Heitner: Did you ever consider working at an already established agency instead of starting up your own? Why did you determine it was best to start from scratch? Joe Tacopina: No. It was never a thought. I have always wanted to put my own finger print on it – mold the clay myself. Very similar to how I started my own law practice. I’m not a terrific employee. I have my own style. Darren Heitner: What should we expect from you and your company in the future? Joe Tacopina: Our objective is to be a meaningful, suggestive agency that never loses the ability to put the client first. We do expect that we will have considerable growth and we intend to do it the right way. Darren Heitner: What advice can you give to aspiring agents and/or attorneys? Joe Tacopina: I don’t know if there is any real advice I can give anyone. But what I always tell my kids is to be passionate about what you do. If you are not passionate about it you won’t get others to be passionate about you.